Five men with replica guns have been arrested in a busy Westfield shopping centre. 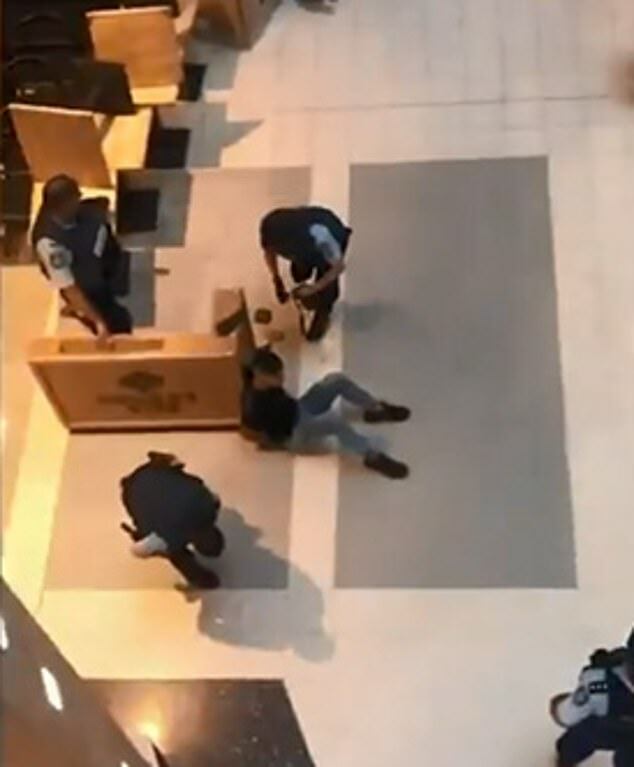 Police were called to Westfield Chatswood on Spring Street in Sydney’s Lower North Shore about 6pm on Wednesday after they received reports of men with firearms. 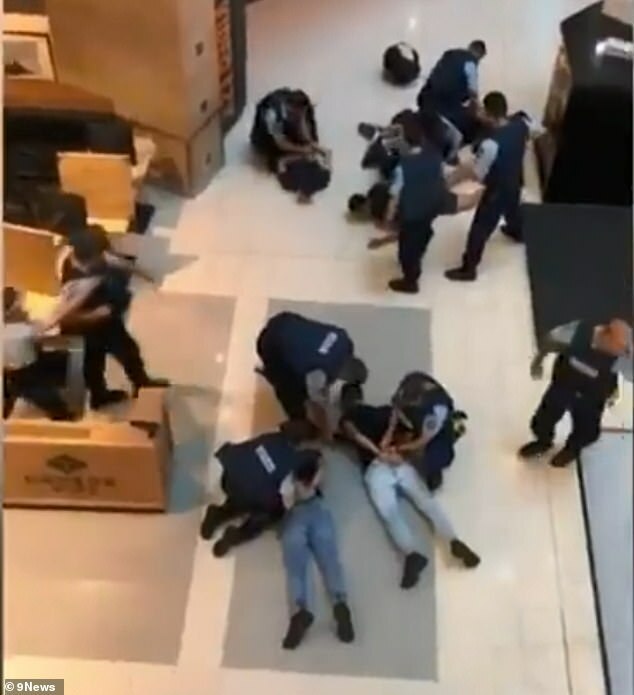 Frightened shoppers in the busy shopping centre watched on as officers from North Shore Police Area Command swooped in and arrested five men. Dramatic images captured outside Coles and Liquorland show eight police officers pinning the suspects to the ground and handcuffing them. Witnesses told 7News they saw police run into the shopping centre and scream at the men to get down onto the ground. Once the men were face down, officers searched them and found what appeared to be handguns but was later identified as replica weapons. A Coles employee told 7News their manager made the quick decision to close the store’s roller door to protect staff and shoppers from what was ensuing outside. The men were then taken to Chatwood and North Sydney police stations for questioning and number of replica firearms were seized at the scene. Police told Daily Mail Australia no one was injured during the terrifying incident. One of the arrested men was an 18-year-old while the remaining four included a juvenile aged 16 and three others aged 17, police said. ‘Three of the men have been taken back to Chatwood Police Station and two of them are at North Sydney Police Station,’ a police spokeswoman said. Police are continuing their investigations and have urged anyone with information to come forward.